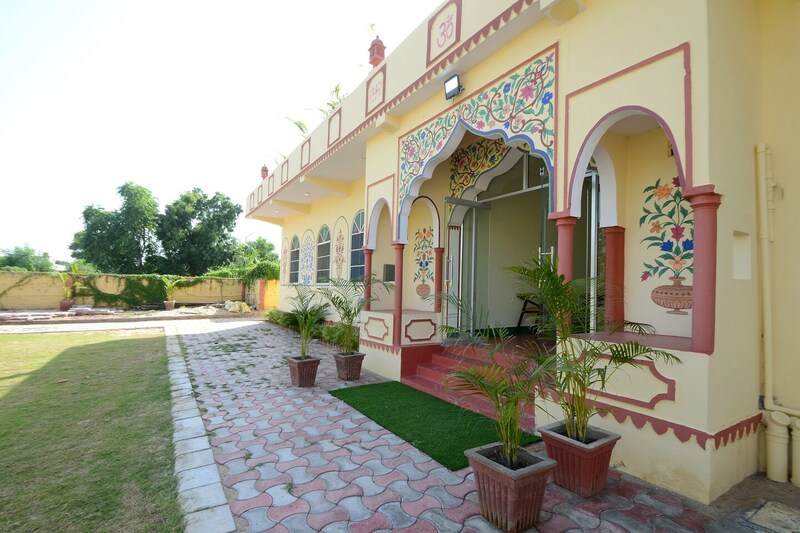 Aanand Mahal is a wonderful piece of property for travelers looking for accommodation choices that can be booked within a pocket-friendly price range in Jaipur. The interior decor of the room is of the minimalist nature. The color combination maintained is monochromatic and the bright cushions in every room are the only elements of color. The rooms are very spacious and the notable addition to every room is the wooden chairs. The additional facilities provided by the hotel are free Wi-Fi, CCTV cameras, power backup facility, and parking provisions. There is a common kitchen within the hotel that can be used by the guests as and when required. The front desk service is located close to the entrance and is managed by helpful and hospitable staff.